Wow Bex you were completely amazing, so much fun and so flexible on Linda and Chris’s special day, would highly recommend you. Thank you so much and look forward to the photos. 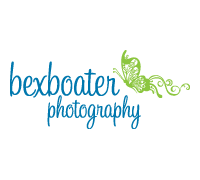 Cannot praise highly enough, Bex was brilliant at my Sons wedding yesterday, funny and a great personality and able to get the photos without being too formal or intrusive. Great with kids and adults alike and the quality of the photos are AMAZING. Natural shots taken as well as the posed for shots all captured the great atmosphere of the day. You won’t be disappointed. ***** five stars. Bex is able to take the most natural and beautiful photos. Matilda really likes having her photo taken as Bex is able make it really fun. I wish there were more stars!! Thank you so much for amazing pictures that captured our charity evening perfectly. Thankyou so much for our beautiful photos, Highly recommended you are brilliant so professional top service. For more details or to book a photo shoot, please just email me at: bexboater@hotmail.co.uk, visit my Facebook page and message me at: www.facebook.com/bexboater, get in touch via my online form, or call me on: 07778 978870. I look forward to hearing from you!